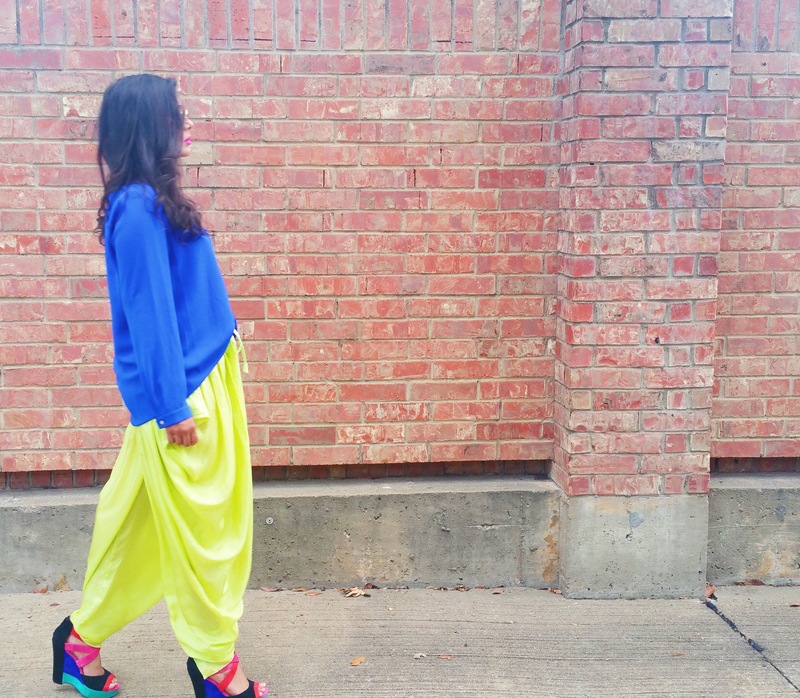 After my recent trip to India, I came back with a revamped love for the dhoti pant. They are oh so exotic, but most of all, dhotis are fun as hell. Comfy, quirky, and a bit fobby, the dhoti pant is really making a shift from orthodox traditional Indian wear to the new contemporary cool. 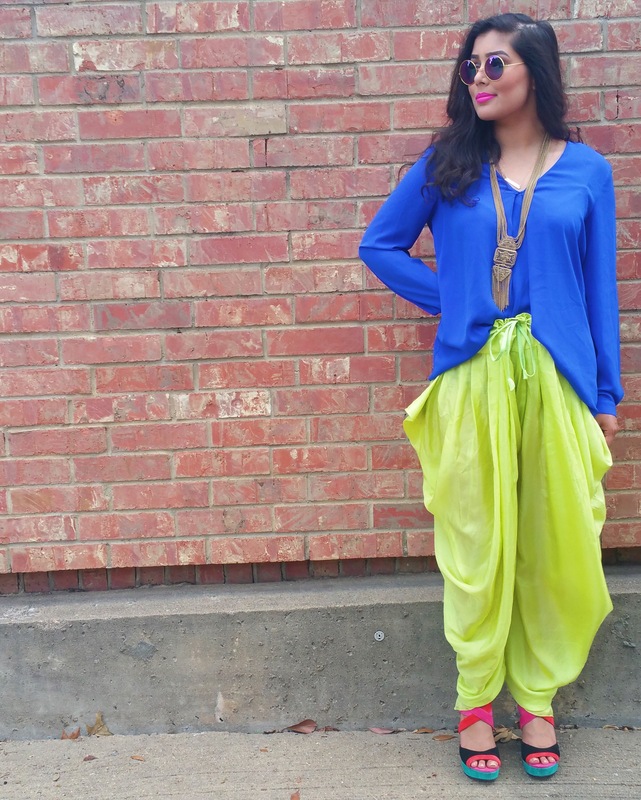 Let’s be real, wearing a shalwar out in public is a bit risky, but my style incorporates a lot of Indian influences, and I wouldn’t have it any other way. Fashion is a celebration of who I am and if I’m going to pretend like I’m NYC chic in black-on-black all the time, then I’m an insult to a heritage that is so rich in culture and style. Where can you snag a pair? 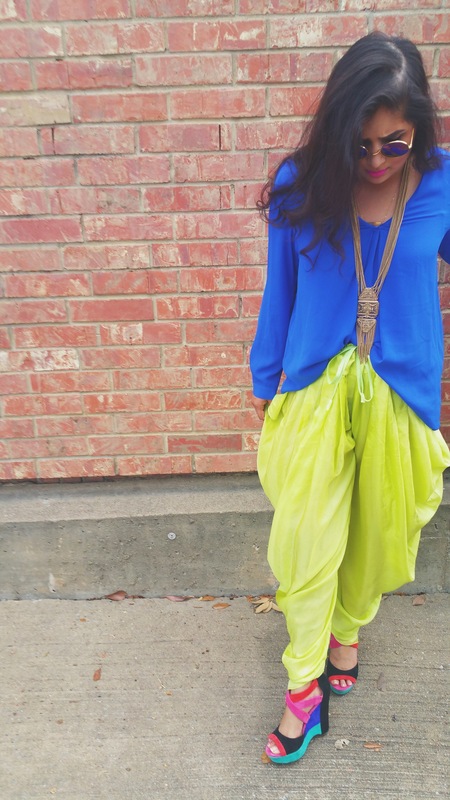 Surprisingly, it was challenging to find dhoti pants by themselves in Bombay since most were part of a whole outfit in various boutiques, but Bohemian Chic in Dallas carries neutral colored dhoti pants, so check them out here.